Incepted in the year 2008, Wetpoint Aqua Equipments Pvt. Ltd. is an eminent company indulged in manufacturing and exporting an incomparable assortment of FRP Induced Draught Cooling Tower, Timber Induced Draught Cooling Tower, Axial Fan and many more. 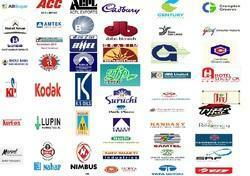 Complete array we offer is highly in demand in the market for its matchless qualities and known amongst our patrons. Our offered collection is fabricated and designed by our knowledgeable team of professionals in adherence with the global quality guidelines by making use of the first-class grade raw material and cutting-edge technology. We have a huge customer base which includes Cadbury India Ltd., Godrej Consumer Products Ltd, Proctor & Gamble Ltd., Bharat Heavy Electricals Ltd., HEG Ltd, SRF Limited , Century 21 Malls, Treasure Island Group, etc. We are exporter in Africa, Sri Lanka, Kuwait. Our company is backed by an innovative infrastructure that includes sophisticated and advanced machine and equipment, which is further segregated into numerous divisions to make sure uniform production. This facility holds varied specialized divisions such as production unit, quality testing, warehouse packaging, sales & marketing and many more. We have progressive machine that used in the production process, we are able to bring forth precision engineered products that are superior in terms of durability and quality. Under the supervision of our mentor Mr. L.K. Chaturvedi (Managing Director), we have accomplished the altitudes of achievement. He is highly knowledgeable regarding quality parameters and broadly knowledgeable in his respective field. Manufacturing and Trading of Nozzle and Sprinkler. Today, our company has become an acclaimed name for our patrons and is acknowledged broadly for offering qualitative variety of products. These products are extensively asked for among our patrons due to their highly efficient, optimum performance and shock resistance. We have brought forward these offerings, by using optimal-quality raw material in our fabrication process. In the specified business, we have been dedicated towards our patrons' requirements & needs and for the reason, introduce products at affordable rates. So, at our end we stand as a patron-centric company, for offering them maximum satisfaction.